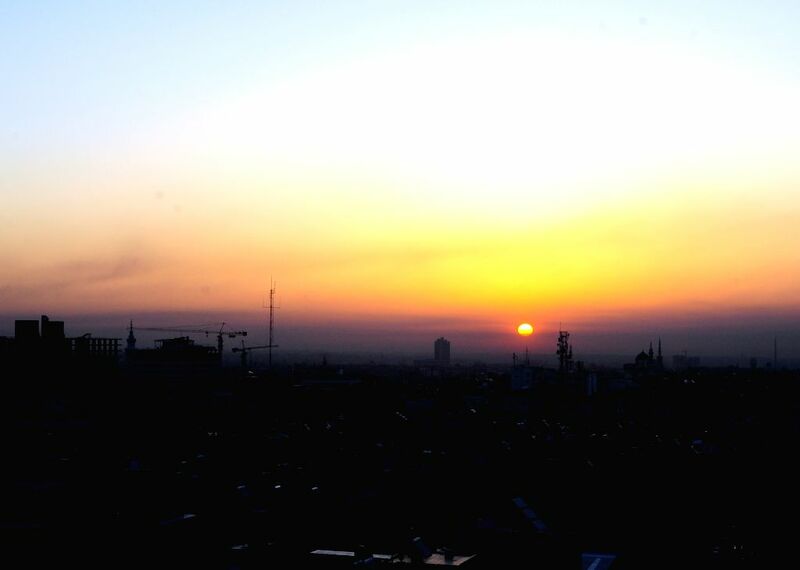 DAMASCUS, April 14, 2018 - Sunrise is seen in the Syrian capital Damascus on April 14, 2018. The U.S. started military actions against Damascus before daybreak Saturday as loud explosions were heard with "red dots" seen flying from earth to the sky, reported Syrian state TV and Xinhua reporters in Damascus. 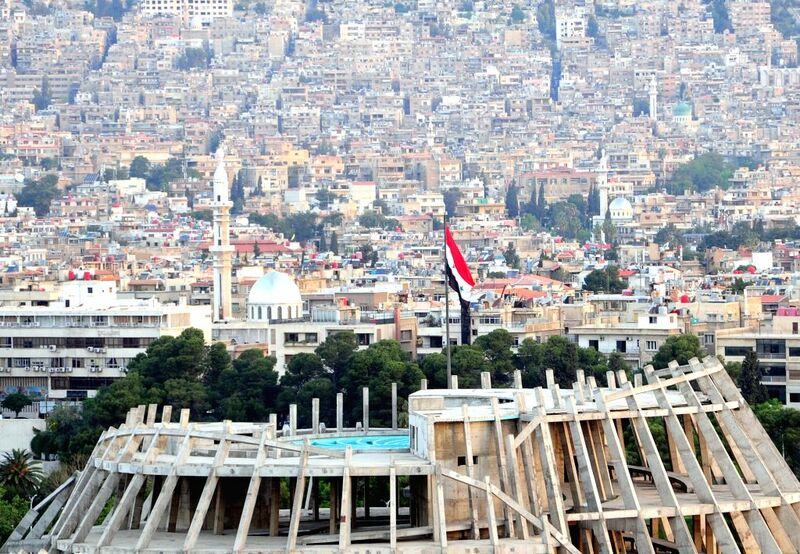 Photo taken on April 14, 2018 shows a view of the Syrian capital Damascus. The U.S. started military actions against Damascus before daybreak Saturday as loud explosions were heard with "red dots" seen flying from earth to the sky, reported Syrian state TV and Xinhua reporters in Damascus.